A driver died after his tractor-trailer crashed over a Beltway overpass and onto the Suitland Parkway below. 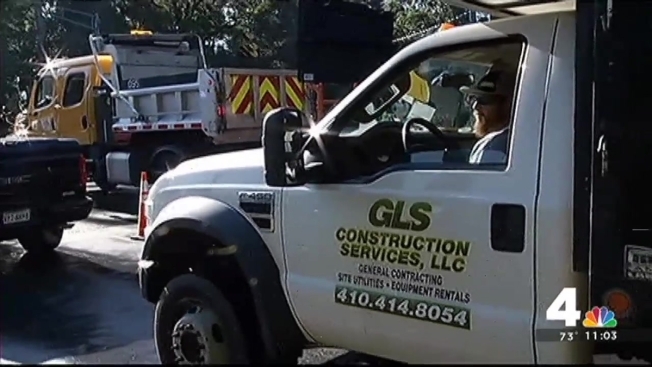 The driver of the truck was travelling on the Outer Loop of the Beltway early Friday before losing control, Maryland State Police said. 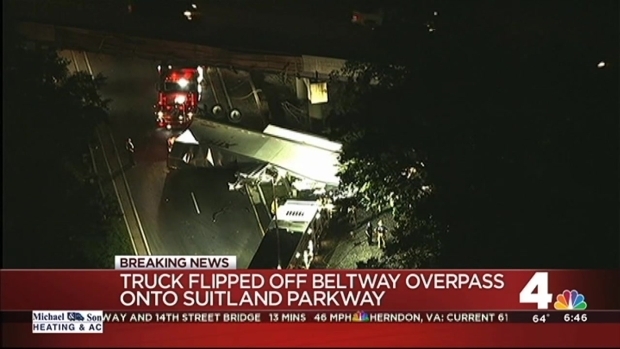 The truck went over the overpass and landed on Suitland Parkway. Breaking2 Right Lanes of Outer Loop Reopen at Branch Ave. Shortly before 5:45 a.m., Prince George's County Fire & EMS confirmed that the driver died. All outbound lanes of Suitland Parkway are shut down between Forestville Road and MD-4 (Pennsylvania Avenue). Traffic is getting by on the inbound lanes. All outbound lanes of Suitland Parkway were shut down between Forestville Road and MD-4 (Pennsylvania Avenue) but had reopened as of about 4:30 p.m. The inbound lanes were closed two separate times in the wake of the crash. There were no closures on the Beltway, but the Outer Loop exit ramp to Suitland Parkway was blocked. The truck was carrying paper products. Elsewhere in Maryland, all lanes of the Beltway's Outer Loop were closed at Branch Avenue in the wake of another crash, this one involving four vechicles. Two right lanes of the Outer Loop have since reopened there. There's no word on any injuries in that accident. Stay with NBCWashington.com and News4 for the latest.